I have always loved Christmas Cake and when I had to go gluten dairy and refined sugar free, I went on a mission to create a Christmas Cake that was as good as what my granny always made, only healthier. I have made this cake both vegan and simply gluten free and both are equally delicious. First, you need to choose your fruit. Big tip – buy fruit that already looks nice and plump, and you’ll have a head-start on a super moist cake. 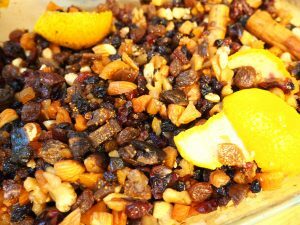 You can simply buy a dried fruit mix from the supermarket, but since a lot of them contain mixed peel (not keen on it), sugar, vegetable oil and sulphites I obviously avoid them. But if you find a decent mix you like, then buy it! It’ll save you a bit of time. For my cake I buy the fruits individually, and use them to make up the total fruit weight. I used equal parts of raisins, currants, dates, cranberries, dried apricots, figs and dried pears. I also chop raw mixed nuts (Brazil, cashews, almonds, hazelnuts, macadamias, walnuts and pecans) I like to mix the fruit, orange peel, a vanilla pod and spices and alcohol in a large airtight container. Once you close the lid the liquid can’t evaporate – it has no choice but to be absorbed by the fruit. Plus it means that in between stirs, I can just shake the container to mix it all up. It needs to be left at least overnight, (a few days is even better) for the fruit to soak up all of the alcohol. If you prefer, you can simply use orange juice although it lacks a certain punch that only Christmas cakes have! 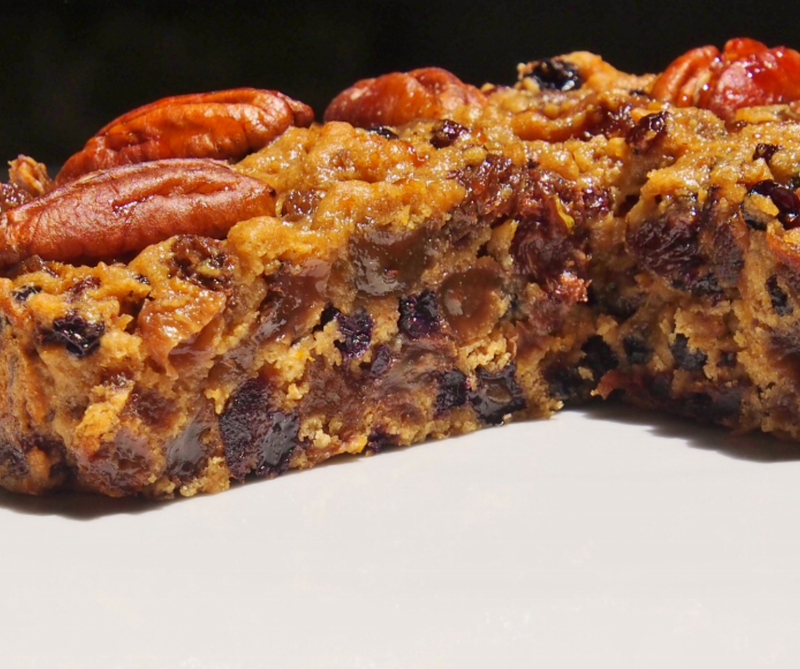 Be sure to double line your cake tin as there is nothing worse than burnt, bitter dried fruit. This cake should take about 3 hours to cook at 150 degrees Celsius. My oven isn’t fan forced and it turned out perfectly. Once your fruit has sat and done it’s thing, you can mix up the batter. 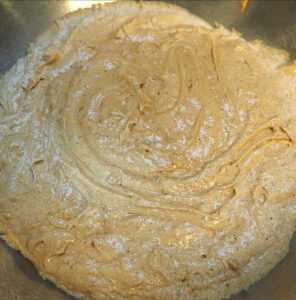 If the mixture curdles after adding the eggs or applesauce, don’t worry, it will come together when the flour is added. You can beat the crap out of it anyway as when it’s gluten free you don’t have to worry about over working the gluten! 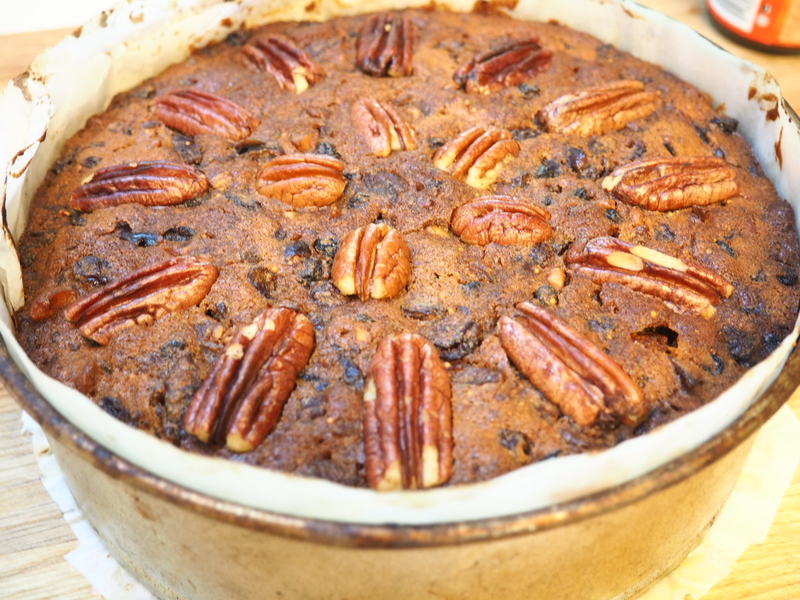 After the cake is cooked you can prick holes in the cake and sprinkle brandy or sherry over the top. This helps keep it moist and also to preserve it if you plan on making it in advance. This cake can be made in advance or just before you plan on eating it. Making it in advance helps it to mature and good together better when cut. 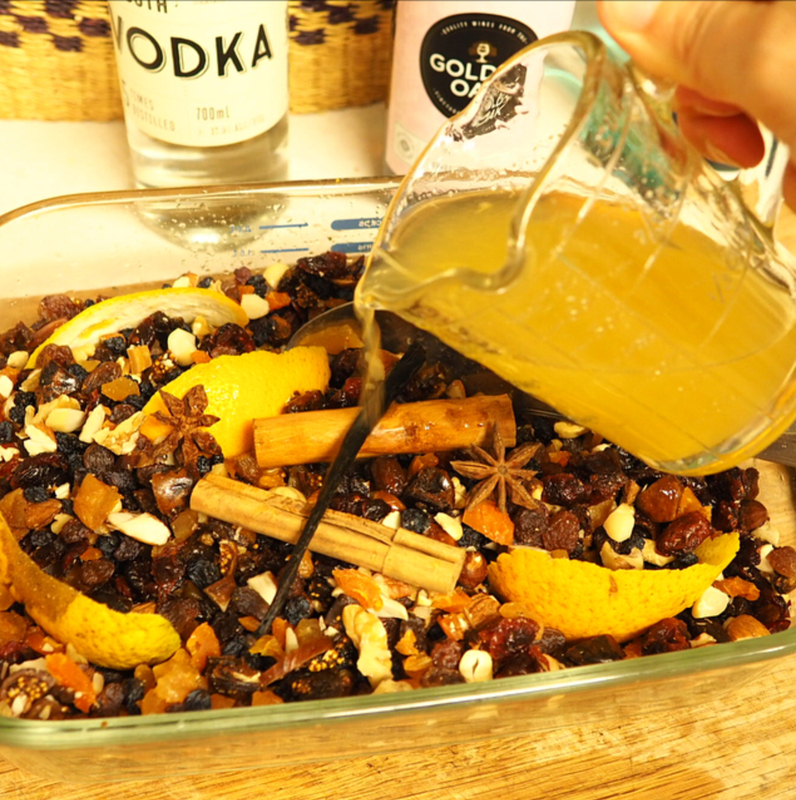 Soak all the fruit and nuts in the vanilla, spices and vodka overnight – or for at least 3 hours, if you can’t wait. Grease and double line an 8″ (20.5cm) round tin, and preheat the oven to 150C. Beat the butter or firm coconut oil and coconut sugar together until light and creamy. Gradually add in the beaten eggs or applesauce mix adding a little flour each time if the mixture begins to curdle. 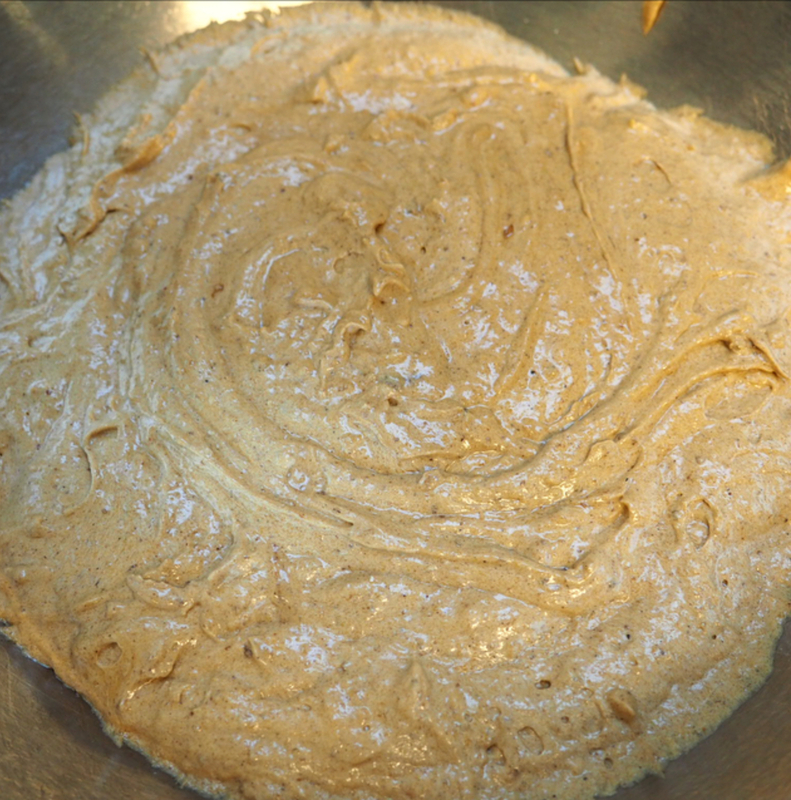 Add spices to batter. Remove spices, vanilla pod and orange peel from the soaked fruit & nut mix and any remaining vodka and mix well into batter. Spoon the mixture into the tin, and level the surface. 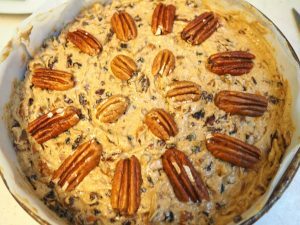 I like to place pecans on top in a circular pattern as I do not ice the cake. Bake the cake for 3 hours – if it begins to look a little dark on top towards the end of the cooking time, cover the top with foil or baking parchment. I do this after an hour. Let the cake cool in its tin before removing it. Prick tiny holes in the top and sprinkle with sherry. 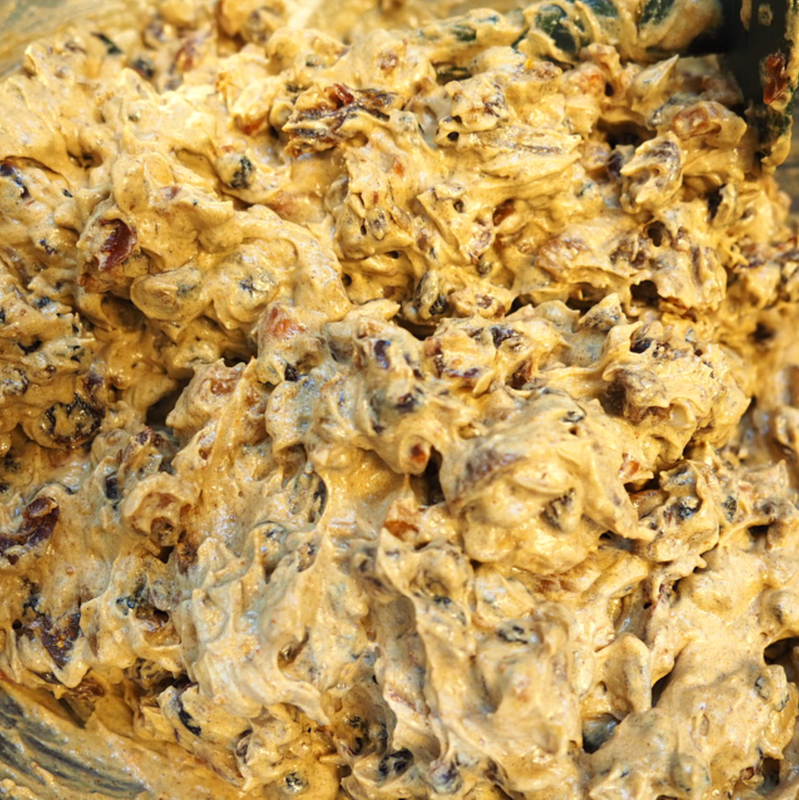 You can also gently melt jam, remove the fruit chunks then brush over the top to glaze the cake. Wrap it in a double layer of foil to store it until ready to decorate or glaze.